Bring a contemporary edge to your portraits. The frameless presentation of a Gallery Wrap creates a high end art piece worthy of any museum wall. 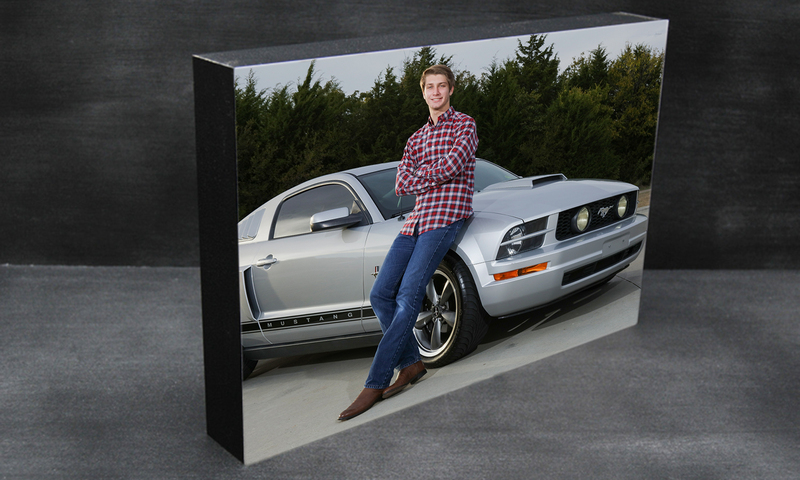 Present your images in a luxurious gallery-quality mat. Your print is inserted into a beautifully beveled 6-ply mat. Available in black and white. 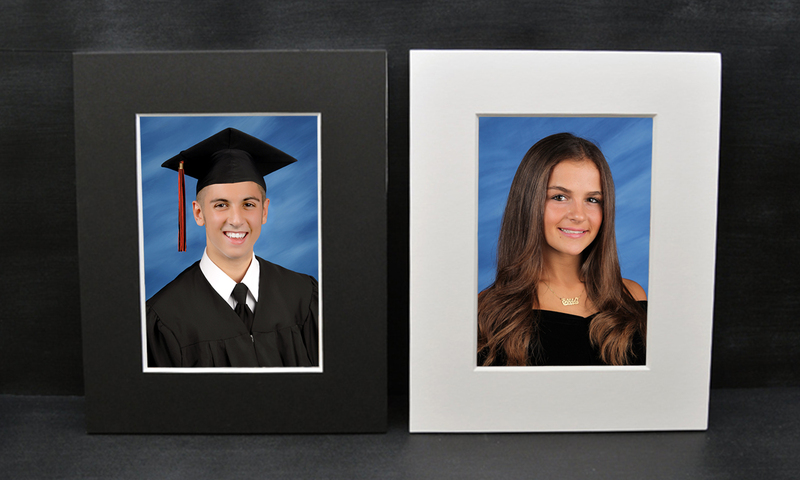 Standouts are a stylish yet simple way to feature your senior portrait. Prints are mounted on 1.5” thick foam board edged in black or white trim. 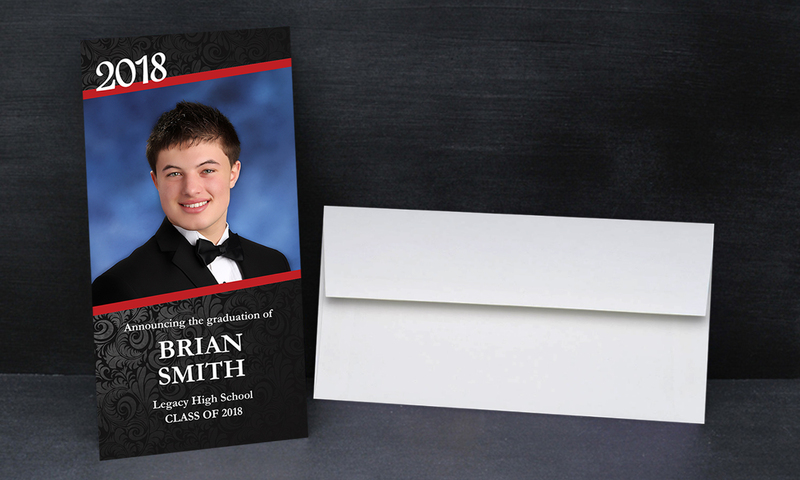 These formal 4×8 cards announce your graduation to family and friends. Add your stripe color for extra personalization. Includes envelopes.